"Happiness is only real when shared" - so who will you workout with today? 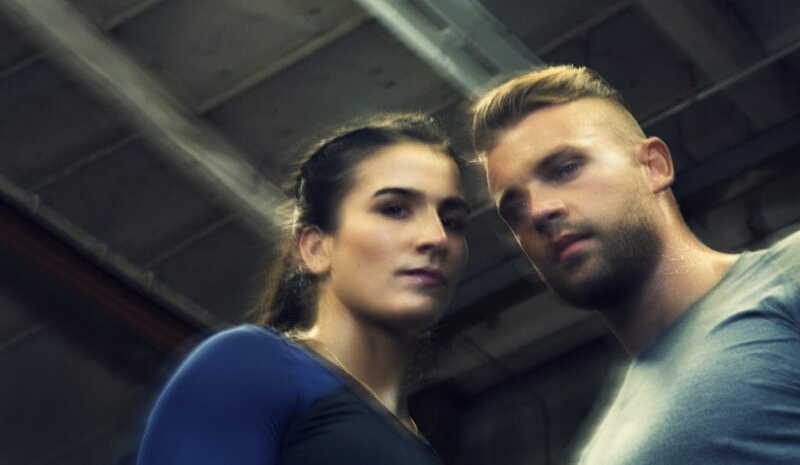 Lauren Fisher and Rasmus Andersen are a dynamic duo that push and inspire each other to operate and excel at the highest competitive levels in their sport. Their partnership extends beyond the walls of the Box, and this helps them to pursue their goals together. 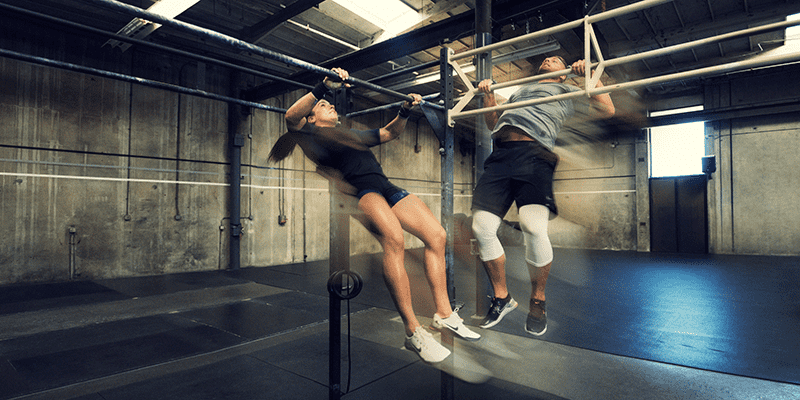 These 10 workouts are designed for you to complete with a loved one, “frenemy”, training buddy or anyone else that you enjoy throwing down with. Pick one where you can work together and encourage each other through the pain! Remember to wear the right gear for each workout and give yourself the best possible chance of success. TIP: THis is a tough, longer workout so pace yourself, but get ready to move quickly when it comes to exercises such as the bar facing burpees. 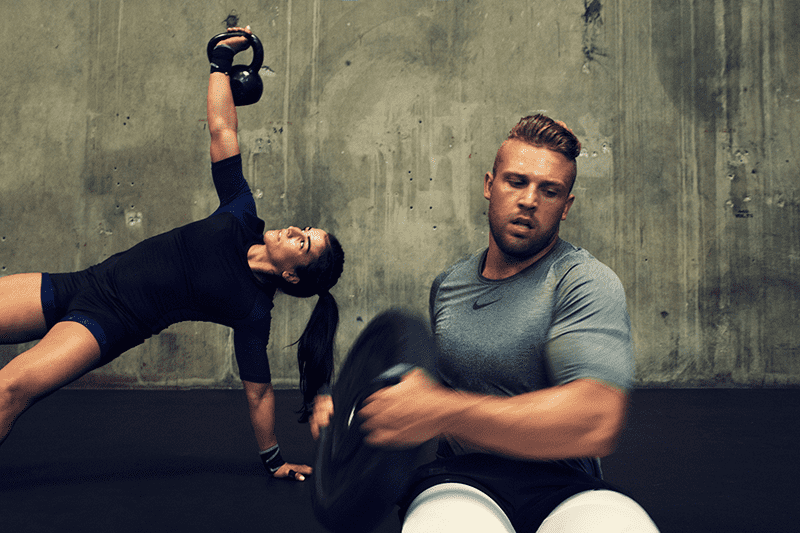 The haptic technology on the upper of the Nike Metcon 4 is useful for keeping you stable, yet flexible and responsive during this partner workout. The tri-star shapes (think of this as a rubberized TPU, inspired by the rubber outsole) can be individually printed large or small anywhere on the shoe, adding strategic durability where it’s needed most. High-wear areas like the toe box, heel and sides are much stronger, and this has the additional benefit of leaving mesh for breathability and flexibility in other spots. 3 rounds. One partner works for one minute whilst the other rests for one minute. The brand new Nike Metcon 4 Training Shoes are designed to reflect and compliment each other, just like any strong partnership. These limited edition Nike Metcons are designed with mirror image detailing, such as the inverted black and white colouring on the sole and upper, or the contrasting swooshes. Each training shoe also features a pop of colour on the heel counter and a stripe of material that also features the Metcon text. These are contrasting colours, so they work well together and create a strong visual effect. 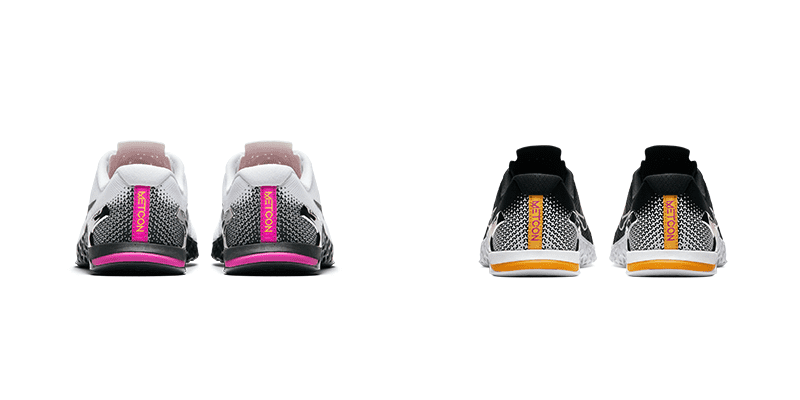 Each insole contains an inverted version of the other in the same yellow and purple colours. The final touch that ties them together into a partnership is the metallic silver heel clip, an important functional addition to help keep your feet stable yet responsive for lifting. For time. Alternate every 5 reps.
Partners must run together, break up reps as required. 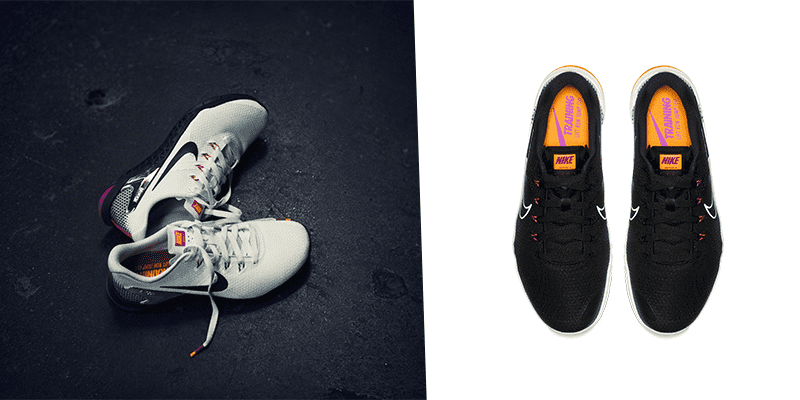 Attention to detail: Check out the inverted insole design and the styling on the tips of the lace. 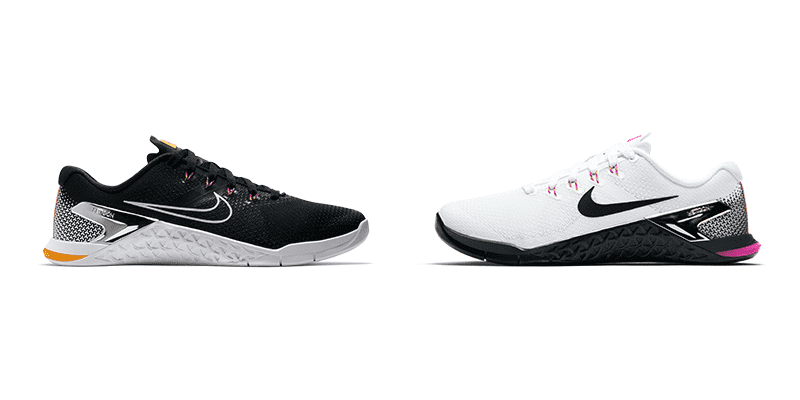 Complete the perfect Valentine’s Day with the new Nike Metcon 4 styles.